There are many types of foundation protection boards available to compliment and provide additional moisture & thermal protection to our complete line of waterproofing membranes. Protects the waterproofing membrane during backfilling. Insulating the outside foundation wall slows both vertical and horizontal heat flow through the wall, helping to mitigate conditions that cause energy loss. Prefabricated Sheet Drains are high density drainage boards comprised of polystyrene or polyethylene dimpled cores available with filter fabric that act as replacements for aggregate systems. 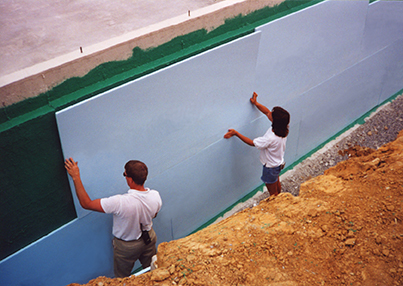 Subsurface drain boards protect the waterproofing membrane and ensures drainage which relieves hydrostatic pressure buildup against foundation walls for residential and commercial foundations. The above grade U.V. stable waterproofing is designed to protect the exposed section of the foundation wall that exterior finishes do not cover. It is tinted “foundation gray” to match the color of both poured or block walls and is not affected by damage caused by ultra-violet light. 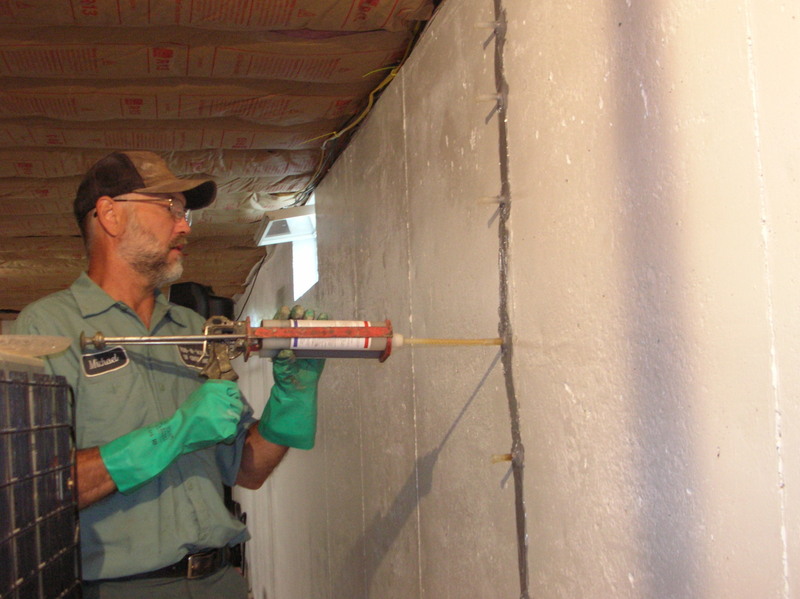 Repair leaking cracks and structural repairs using advanced epoxy & polyurethane crack injection repair methods. Engineering services are available on request for all structural situations. Using various sealers and epoxy paints to seal the concrete block from the inside. Replace or repair sidewalks, driveways, patios, porches, etc. Using silicone and silconate sealers to protect and seal out water. 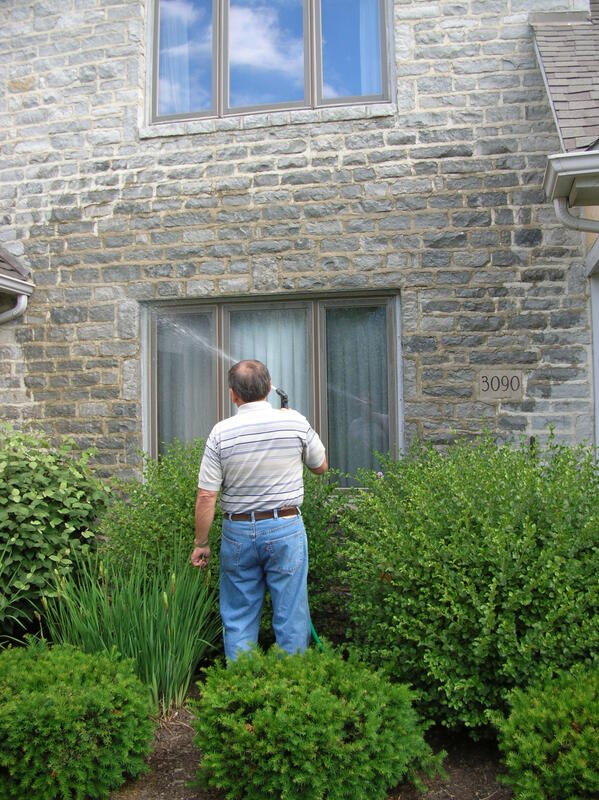 A clear silicone sealer is used for above grade masonry applications. It seals stucco, brick and stone with clear UV protection that will not yellow or discolor. 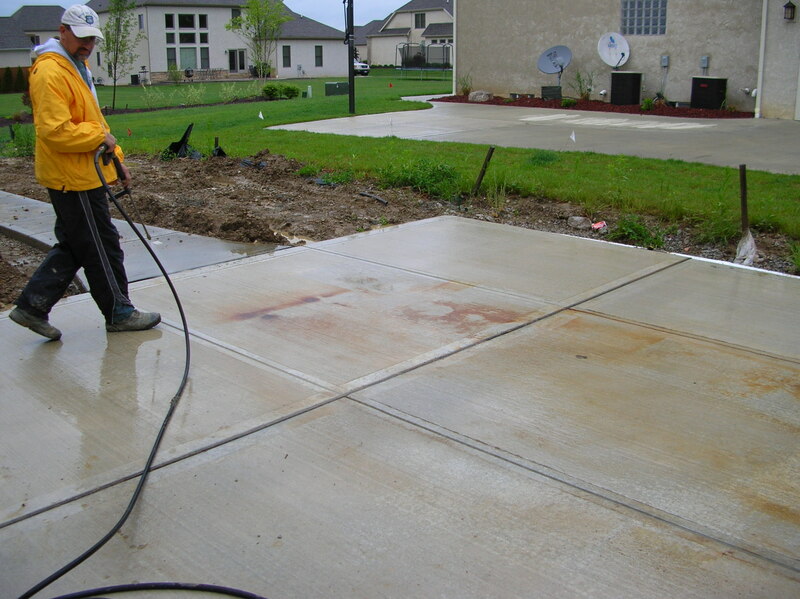 Rub-R-Wall of Ohio, Inc. uses a concrete driveway sealer/hardener which is a proven concrete treatment in sealing, hardening, waterproofing and dustproofing concrete surfaces. It protects concrete exposed to water, ice, snow, abrasion and freeze-thaw spalling damage. It also stops penetration of the surface by oil, grease, acids, salt, soil stains and other common substances.